We have covered a total of 8 wireless earphones on our list and most of them are with mic. We have arranged these earphones by price. If you are looking for wireless earphones under 1000 to 2000, take a look at first 3 options. If are looking for wireless earphones under 3000, take a look at options 4, 5 and 6. Last 2 options are great if your budget is under 5000. Our first entry is the Boat Rockerz priced at around 1500 in India. We couldn't find a good option under 1000 so this is the closest to 1000 you will find on this list. Wireless tech is not all over the place as of yet and hence Its a bit pricey than normal wired headphones, so we know you can easily grab a great pair of wired ones at the price, 1.5k is sort of a base price for ditching the cord. Boat Rockerz still do reasonably well in audio and acoustics but aren’t quite the build you’d fancy. Made of plastic, and not the most durable one we’ve seen. 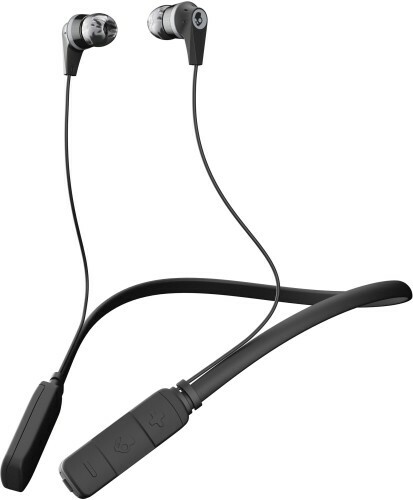 The design is fairly standard with a small cord connecting the two earbuds with mic housing and volume controls. Though not truly wireless, the design offers some advantages like the buds stay safe of falling off your ears and get lost. Rockerz 255 are not quite heavy though as they just weigh 13 grams. Coming to sound quality - mids are great with robust bass, lows are decent as well. The sound separation is quite good so you’ll enjoy jazz, hip-hop and a fair portion of Bollywood on these earphones. The Bluetooth connection is good but we found it disconnecting sometimes abruptly. The earphones come with 2 pairs of silicone caps for your size preference, though not oriented for sports, we took them out for some run and they kept nicely in our ears for most of the times. After a fair deal of use, we found Boat Rockerz to be one of the best entry-level wireless earphones under 1500. Go a shade above ₹ 2,000 and you’ll start seeing the big names - here we have Samsung with Its level U wireless earphones. Now we’ve liked level U since long and you might have seen them in our other writings this time It's no different. Level U bring an admirable blend of sound quality, build quality and design which is enough to sway the masses. The design is bit heavier with a neckband to hold the earphones in place. This design does feel and look a little bulky but the build quality cuts that away as the metal finish makes the earphones look really premium and classy. The added neckband not only improves durability but provides space for packing an extra battery. With large 12mm speaker units, multi-point connects and the magnetic earbuds that clip together to prevent a fall, Samsung Level U is an amazing buy. Samsung claims 10 hours of play time but in our testing, we found out to be nearly 8 hours which is quite impressive. The sound quality is decent if not great, bass lovers will not be happy and if you are into sports or maybe thinking of flaunting these at the gym, you’ll be annoyed as these tend to fall off quick from ears once you start to shake up. 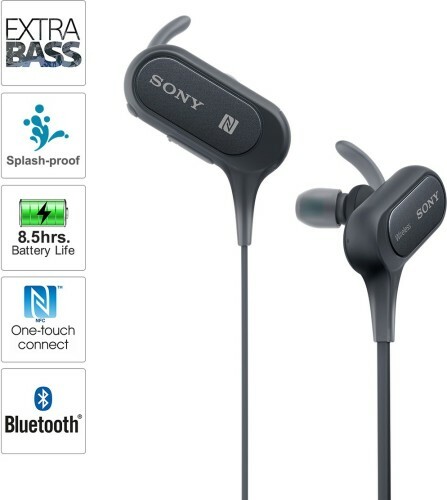 If you are looking for a stellar looking pair of wireless headphones with long battery life and nice durable design, adorning the Samsung brand name - there you have It, Level U are available at around 2000 and are the best wireless earphones under 2000 to 2500 Rs. If you’ve been roaming the earphone circles on the Internet, you have definitely heard the name 1More. 1More has shipped some fabulous audio equipment in the market lately and iBfree joins the list. These wireless earphones are extremely sporty and durable with a bold design. The earphones are lightweight with a comfortable fit. With a wireless range of 9m and a 5mW power output, these earphones sure pump astounding sound with a strong and efficient connectivity with Bluetooth v4.1. The bass levels are great and suit the sporty appeal of the earphones. The battery lasts for about 7-7.5 hours which is decent enough and takes about 2 hours to go back to max levels. The design is fairly standard with a cord going around the back of your neck, connecting the two buds with controls midway. There is an additional locking mechanism which ensures that the earbuds stay in your ears while you enjoy your exercises. We really enjoyed 1More iBFree as they present an appreciable blend of design, build, rigor and of course sound quality. The price tag of under 3000 makes it all more appealing, jump on to Flipkart or Amazon to get 1More iBfree. Mivi has been on a roll with some amazing audio equipment in recent times and here we have one of the best ones from the lesser known brand. Mivi Thunderbeats in an in-ear wireless earphone with some top of line tech built inside them that makes them worthy of their presence in this list. With gigantic 13.5mm Neodymium drivers, Mivi Thunderbeats exude imperious sound with delectable bass and highs, lows are okay as well while the mids seem a bit off. Also, these earphones get very very loud. The point of attraction is the Qualcomm CSR8645 chip inside these earphones supporting Bluetooth 4.1 and the aptX Bluetooth codec, with a range of 8-10m. AptX provides supreme quality HD audio experience and It really noticeable on these earphones. With the standard connected through the back of your neck design, Mivi Thunderbeats are sports ready with securing arcs and a number of bud tips to fit your ears nicely. In our testing we found Mivi Thunderbeats to last around 6.5-7 hours on a single charge which is quite good. Enhanced noise cancellation is a nice bonus, thanks to the Qualcomm chip. The noise isolation is decent to some extent owing to the bigger knobs behind the earbuds. The Inline controls have 3 buttons, nothing fancy but work well with an LED to indicate battery status. Combination of control buttons can give some handy features such as press the volume up and down buttons simultaneously to switch between paired devices and more. We’d recommend Mivi Thunderbeats as they offer reasonably design and build quality with superb sound quality and performance at price, which won’t put a large dent in your pocket. 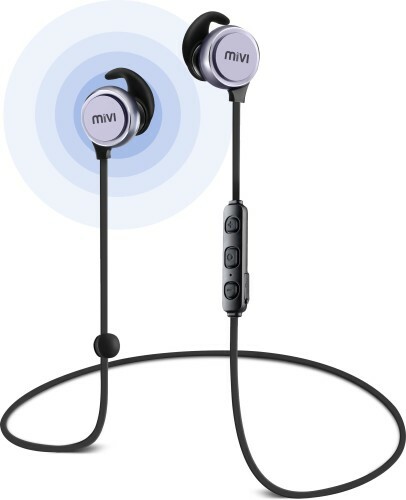 Mivi Thunderbeats is available for around 2900 and is one of the best wireless earphones under 3000 as of now. We can’t possibly curate a list of best wireless earphones without Skullcandy Ink’d Bluetooth earphones, such is the impact and love for these earphones is. It is not only about the supreme sound anymore, Skullcandy Ink’d is a complete package with convenient design, solid build, active noise cancellation which actually works, strong wireless connectivity and a lot more. There is enough to love about these earphones. It all starts with the design which includes a plastic neckband, fairly standard but lightweight and provides durability to the design. The 10mm neodymium sound drivers exude powerful sound with robust bass output and a satisfying listening experience. The controls are placed at the end of the neckband which again is a convenient design feature. There is also a LED indicator for battery status, talking of battery the Ink’d are claimed to be having 8 hours of battery life but on full mode we found them to last around 6.5 hours, which is not bad at all. The built-in mic on the control works nicely. The wireless connectivity with Bluetooth v4.1 stretches up to 9 meters. The design doesn’t inspire a lot of sports and while they fit nicely in ears, don’t expect them to stay for all your intense workouts but we did some lousy running and they worked fine. So, if sports aren’t your priority go get Skullcandy Ink’d without a second thought from Flipkart. Jabra Elite 25e have just hit the Indian markets and they’ve already been mighty impressive. The neckband oriented design with a dedicated button for the new-age virtual assistants like Google Assistant or Siri is really great. With around 12 hours of battery life at max volume, Jabra 25e is one amazing performer. These earphones are heavenly for bass lovers and sometimes lower frequencies don’t come as good due to that bass heavy approach. The lower frequency separation is the only issue we see here but that’s not that big of an issue. The noise isolation is quite appreciable as well. There’s a lot to love here and it all starts with a durable design which takes a lot ergonomics into consideration. There is a special app called Jabra assist to help you with knowing and controlling Elite 25e better. 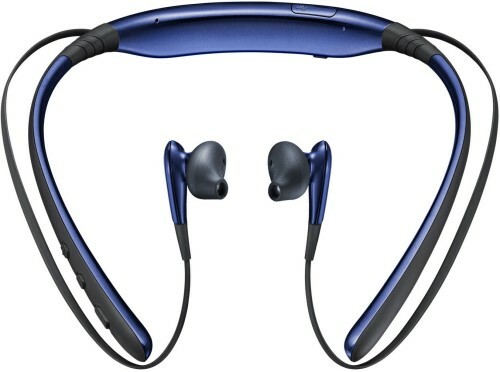 At most 2 devices can be connected with these earphones and the controls are quite accessible. The buttons not only do the basic tasks but also double up to provide additional functionality like a double press of the multifunction button will redial the last dialed number. What we like more is the tight integration these earphones take up with your smartphone including reading out your messages, alerting for calendar agendas and also notifications from apps like Facebook which is really cool. There is a haptic engine to provide vibrational cues whenever there is a notification or an incoming call. 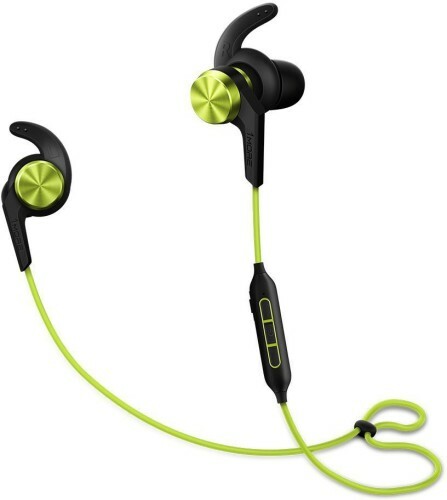 Also, the earphones are not too much into sports but fit nicely to assist in running and some casual exercises. Being IP54 rated helps to be safe from sweat and splash, which is a quite significant addition. 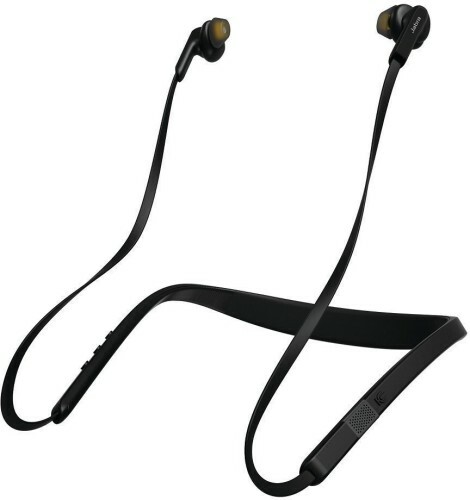 At a price of around 3500 Jabra Elite 25e is a steal deal which also makes it one of the best wireless earphones under 4000. As we move towards ₹ 5,000 some bigger, dominating players start to eclipse the scene one of them being Sony. Sony’s MDR-XB50BSRZE is an uber cool set of wireless earphones, ready for sports and packed with thumping sound which makes this deal worth every penny. Starting with large 12mm Neodymium drivers which guarantee power in every beat you listen. Connecting and paring is quite fast and easy with Bluetooth v4.1. These wireless earphones from Sony are made for those who cherish bass and while the mids are exceptionally great, lows tend to fade out sometimes behind that bass. Separation of instruments and vocals is on spot and surprisingly noise isolation is decent on these earphones. The inclusion of ear arcs and IPX4 rating makes these earphones sports-ready. The design is fairly standard with a cord connecting the buds which are not really buds but are bigger than buds and in our usage we found it to feel a little bulky in our ears at times but not a big annoyance. Sony claims 8.5 hours of battery life but at full volume, you can get 6 hours at best which is not bad at all. The inbuilt mic works well if not the best in the range, the build quality is good, sturdy but not premium and we expected more from Sony here. The earphones no doubt are one of the best wireless earphones under 5000 in India. Beyerdynamic is not a very popular audio brand in Indiaequipmentbut Byron BT wireless earphones prove that you don’t need to be popular to sound great. With a sturdy yet premium appearing aluminum buds, with magnets that make these buds stick together preventing falling off from your neck. For a more secure and sports fit, there is an option for inline arcs, plus different silicone tips for better grip in your ears. With Bluetooth v4.1 and AptX support, these earphones create a stellar listening experience with well-defined bass and exceptional clarity. The treble can get a bit harsh at high volumes, but noise cancellation and sound staging is quite better. The inline controls are quite simple with just 3 buttons, all function well with no hassle. The earphones last around 6.5 hours on a single charge at max volume. We really appreciate the clarity, punchiness, and balance Beyerdynamic Byron BT delivers with a nice, sturdy and not too flashy build. There is not a whole lot of features packed in here but Byron BT focus on one aspect - sound and we are happy to say that they’ve done It well enough. Beyerdynamic Byron BT is available for around Rs. 5000. Irusu is an emerging brand and this Wireless Bluetooth earphone certainly upholds their quality and brand trust. This earphone is of neckband style and lightweight for you to easily place in around your neck. You can quickly pair these earphones with your phone or other Bluetooth devices. Coming to the audio quality, the sound output is perfectly loud and clear and there is no shivering even at the max volume. The noise cancellation is also handled well and you will enjoy watching movies or playing games with this pair. These earphones have a mic inbuilt so you can quickly attend calls while you are listening to music. The earplugs are magnetic styled so you can stick them together when not in use. The packaging box is well designed and comes with a accessories box which has a cover to keep your earphones, different sized earbuds and a micro USB charging cable. 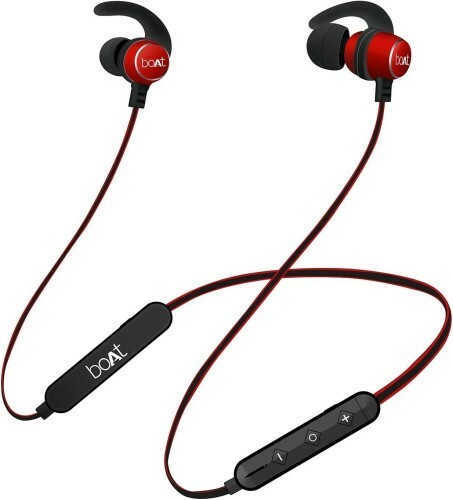 The earphones have Bluetooth 4.1 so connecting it is easy and you get a good range as well. Irusu has added one interesting feature which is Multipoint connection technology which allows two mobiles to connect simultaneously. This can be very useful if you keep 2 phones with you. For wireless accessories, the battery life is an important parameter and it offered around 7 to 8 hours of continuous usage and gets charged completely in around 100 to 120 minutes. 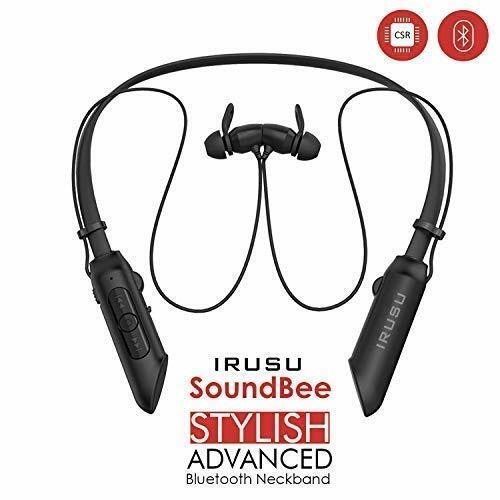 If you are looking for stylish wireless earphones with good battery life and powerful audio output, then these Irusu wireless earphones are a good pick for a budget of under 3000. So, that’s the best wireless earphones you can get under 1000, 2000, 3000 and 5000 in India 2019. And while we may have missed a lot of cool entries, we have you to tell us, right? So do tell us some Amazing earphones to find their place on this list. Wireless is the future of audio and It is coming fast, so Its time to embrace the trend and take a good feel of how liberating the conception of wireless and great music can be.